Cruising is a curious beast. Hailed almost as often as it is derided, it has long been considered the holiday of choice for retirees and those who want to travel the world without stepping outside of their comfort zone… but times are changing. These are no longer the only travellers you’ll find taking to the high seas. Cruising is attracting a new breed. 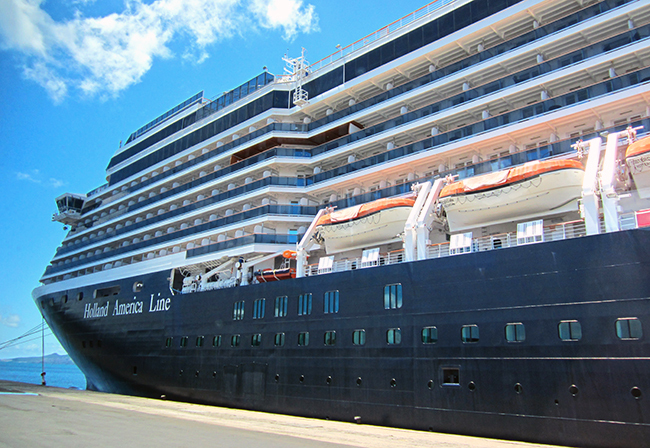 Climbing aboard the ms Oosterdam for a trip from Sydney to Fiji and New Caledonia, I was curious to see how Holland America Line would set themselves apart from the pack. 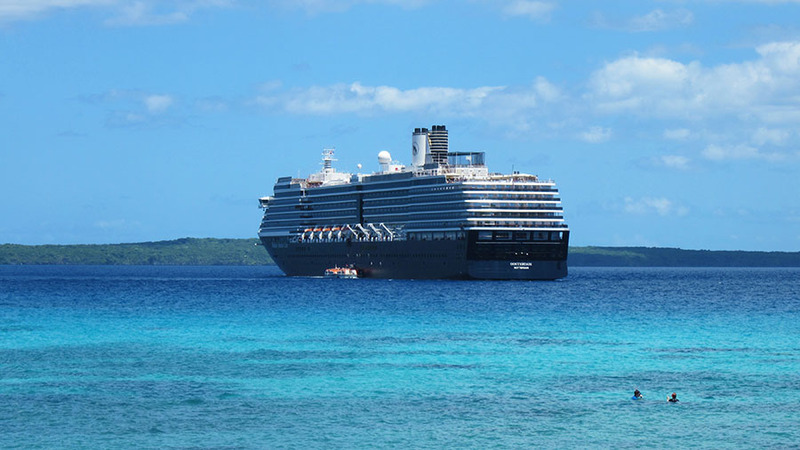 The South Pacific cruising market is one that continues to grow each year, and considering how many ships are now sailing our waters, that trend shows no signs of slowing any time soon. Not wanting to be pigeonholed into only catering for one demographic, Holland America Line is doing its best to appeal to a wider audience. There would be no faster way to commercial suicide than alienating all but one group. It’s a big task, but they seem to be doing an admirable job. I certainly wouldn’t want to be in charge. If you’re a fan of pastels or earthy tones, you may want to stop reading – cruising is not a place for understated design. Throughout the ship there were bold colours, shiny handrails, and more lights than an American Christmas tree. It may sound gaudy, but it works well in this setting. But in all fairness, who goes on a cruise looking for minimalism? 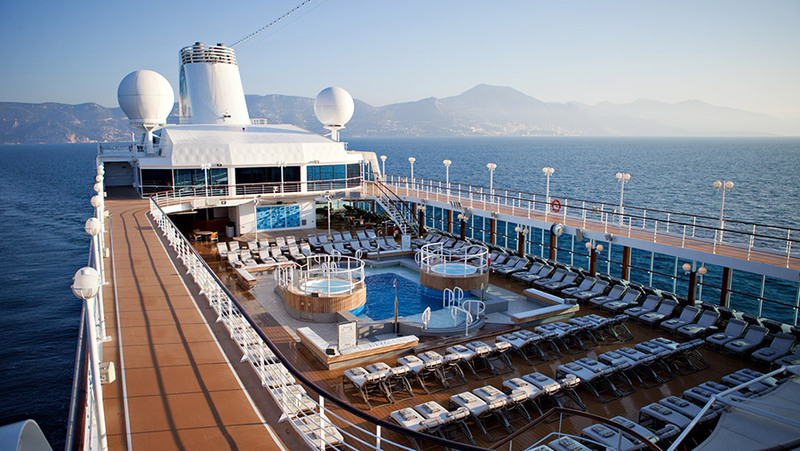 Décor needs to reflect the grand nature of cruising. There are a great variety of activities held throughout the day, and not all of them are designed to separate you from your cash. Yes there are the obligatory art auctions and jewellery sales, but there are also informative lectures on marine life that you’re likely to encounter snorkelling, dancing lessons, and fitness classes that can help burn off the extra kilos you’ll inevitably pile on during the course of the voyage. 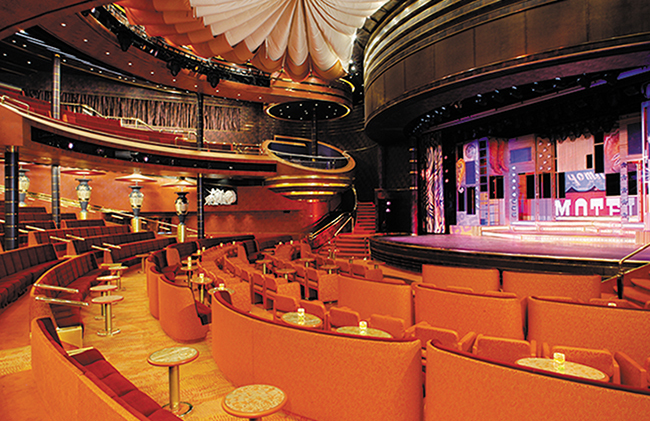 There is no excuse to be bored on a Holland America Line cruise. Entertainment continued throughout the day and well into the evening. But by 11pm, after the last show in the Vista Lounge had concluded it felt a bit like a ghost ship. Most people seemed to go to bed straight after. The only place that was really jumping was the Piano Bar, where pianist Michael had everyone singing along. Each night there was also an LGBT meet-up in the Promenade Bar. It’s the first time I’ve ever seen this on a cruise, and although it wasn’t highly frequented it did allow the chance to meet fellow travellers and socialise outside of our dining group. Food plays a huge part in the cruising experience. 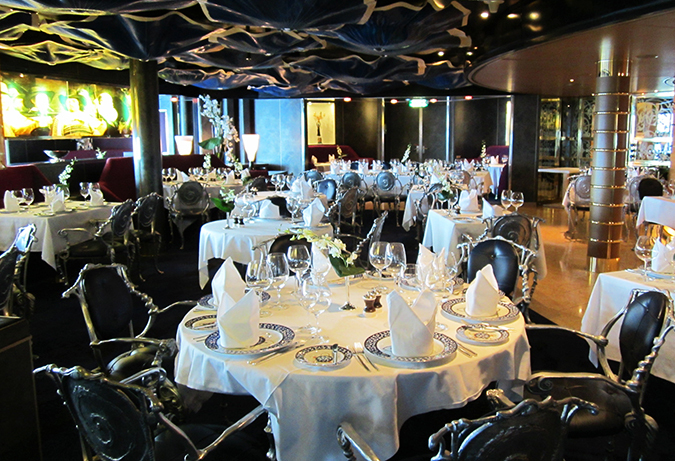 Vista Dining Room is the main restaurant on the ship, offering exceptional quality meals every night of the journey. We were seated with the same group of diners each night, allowing us to get to know some of our fellow cruisers. The food was great, and the service impeccable. In addition to the buffets that you find on all cruise ships, ms Oosterdam had several specialty restaurants ranging from Canaletto, a fantastic Italian diner, through to The Pinnacle Grill, a gourmet steak house where you can enjoy Michelin quality meals for less than a third of what you’d pay on land. Explorations Cafe, a library come coffee shop in the crow’s nest, had the best coffee by far on the ship. They were really pushing the hand sanitiser from the moment we boarded. If I had used the hand sanitiser every time it was offered it, my hands would have been drier than an Egyptian mummy. Common sense needs to be used, wash your hands after you go to the bathroom. Norovirus is a big problem at sea, striking down shiploads of passengers in one fowl swoop. Thankfully that didn’t happen on our cruise. Wandering around the interior of the ship, it’s easy to get a sense of déjà vu, especially after a few cocktails. All of the levels look the same, save for a different artwork or pot plant near the elevator. It would be great if they colour coded or themed each of the levels do a different artist, making it easier to navigate. Our cabin – 6112, Upper Veranda Deck – was well proportioned. It was a simple colour scheme. Orange carpet with blue flecks, cream walls, blue curtains, a red lounge in the corner of the room; all of it creating the feel of a coral reef. Two simple artworks hung on the wall opposite the bed – butterfly motifs containing vintage images of Indian girls, and one that looks like the inside of an Indian temple. The veranda area gave us more usable space, and provided a handy spot to store our snorkelling gear. The bathroom was small, but adequate. On the wall to the right of the vanity were two small painted tiles, adding a bit of colour into an otherwise beige room. 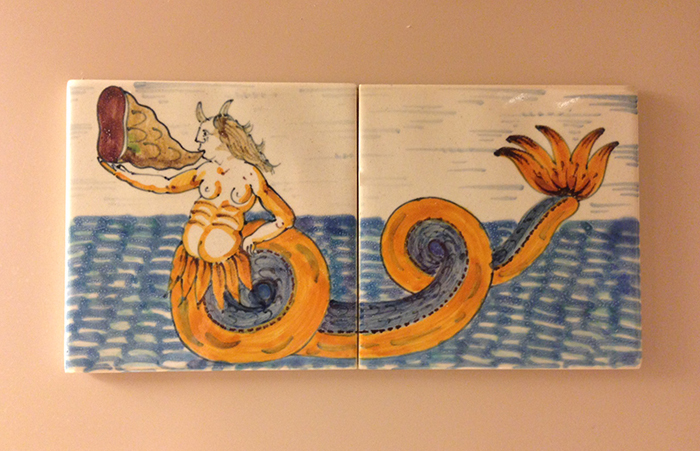 I couldn’t tell whether the tile artwork was a sea creature blowing a horn or eating a leg of ham… clearly I need a refresher on Dutch mythology. We felt it really beneficial to give back to the ports of call in some way financially. Whole shiploads of tourists disembark on tenders and visit tiny villages such as Easo, but if nobody spends there’s no benefit to the local villages. The snorkelling area at Easo is now a marine park, so we had to pay $15 to snorkel. It’s a small price to pay and it goes back to helping the community, can’t complain about that. 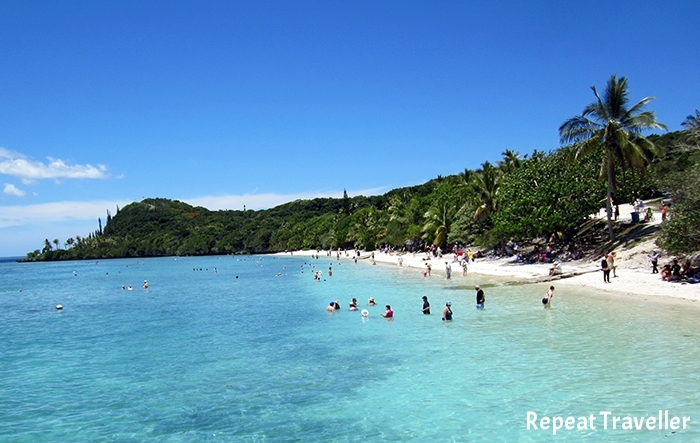 One thing to note with shore excursions, do a little research before you commit. 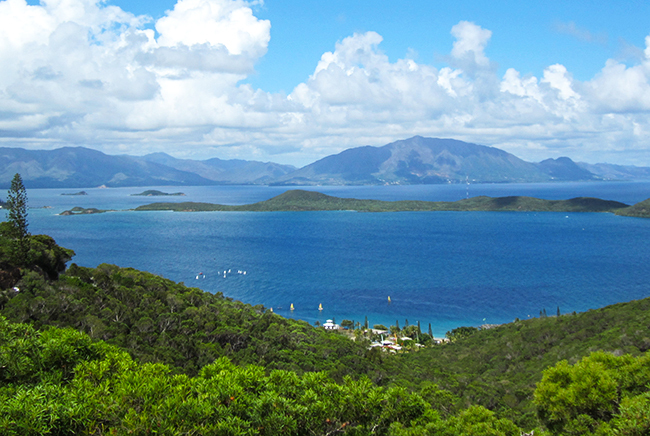 In Noumea we chose to take the Wine and Cheese Tasting Tour, only to learn that there are no vineyards in New Caledonia. All of the wine and cheese was imported from France. The bus tour was a good way to see more of the surrounding area that we would on foot, but that’s about the only benefit we found to taking the tour. ms Oosterdam may not be the newest ship afloat, but she had more character than many of the newer ones. I was one of the youngest people on the ship by a long way, but it didn’t feel that way. There’s something fascinating about cruising that seems to make everyone feel young again. Even those on the far side of 80 seemed to have a spring in their step. The best comparison is that it’s a bit like a holiday camp; a place that everyone forgets their troubles and just focuses on having fun. 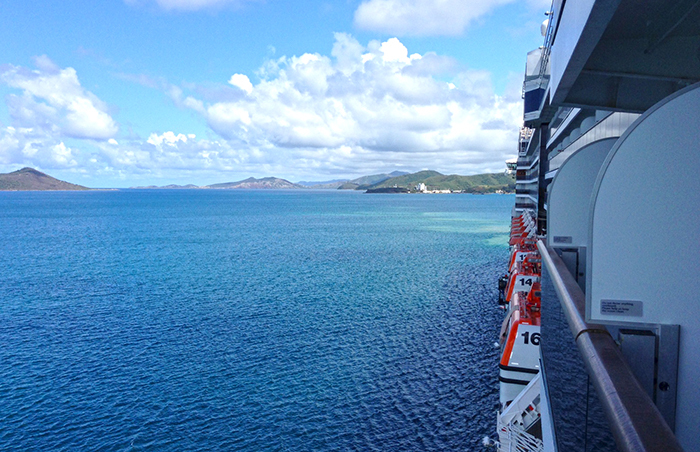 Cruising is what you make it. 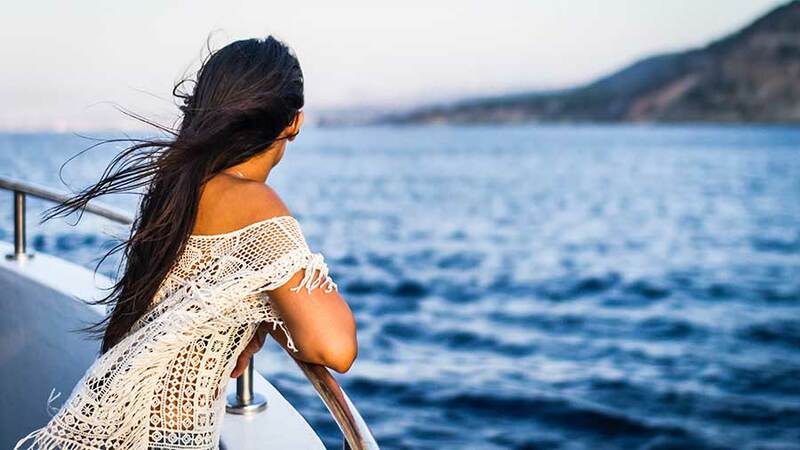 If you surrender yourself to the cheesy nature of life on the high seas, you’ll have a fantastic experience.